Earlier today, we unveiled a new, innovative plan to completely transform the patient and family stay at children’s hospitals around the world with the creation of personalized, distinctly “Disney” experiences featuring beloved Disney characters and stories. And Walt Disney Imagineers will be leading the creative design work at each hospital! 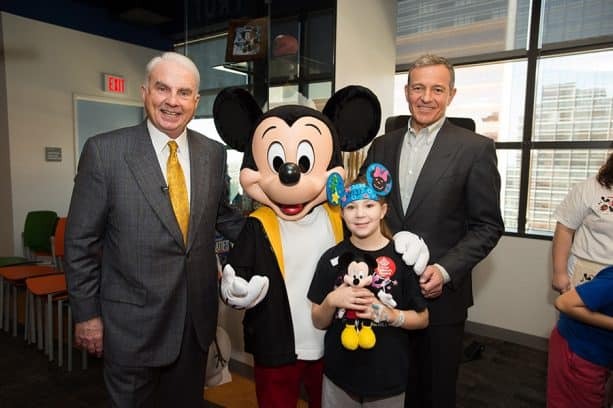 Disney Chairman and CEO Robert A. Iger and Mark A. Wallace, President and CEO of Texas Children’s Hospital were joined by Mickey Mouse for the big announcement at Texas Children’s Hospital – the first hospital to work us and this new approach. This initiative, which includes the Walt Disney Company’s dedication of more than $100 million, will roll out over the next five years. During that time, Imagineers will be working with patient care experts to help create a supportive atmosphere that’s personal, warm and entertaining at the hospitals. The combination of customized experiences with favorite Disney characters and our legendary creativity will help inspire young patients and their family and ease the stress of a hospital stay. Addition of a new RFID-based system allowing patients to customize their hospital visit by choosing their favorite Disney stories and characters. The system will also unlock special elements to further personalize and enhance the experience, such as “enchanted” artwork that comes alive. Themed treatment and patient rooms featuring interactive murals of Disney stories, bed linens and gowns featuring each child’s favorite characters, and personalized in-room entertainment. 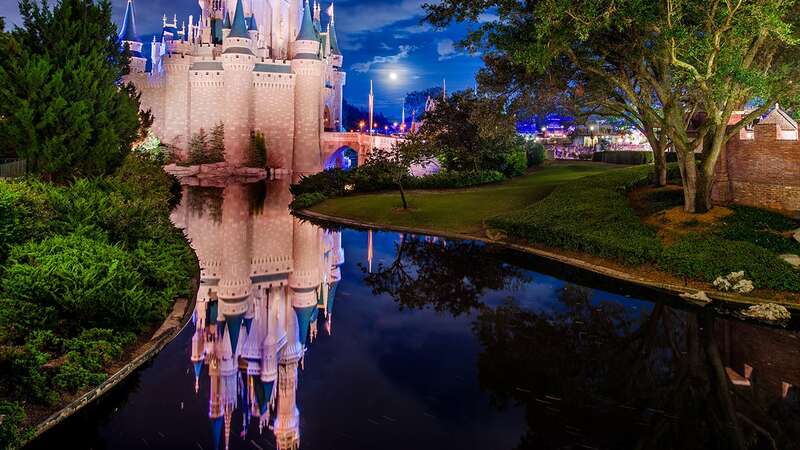 Also, well stocked mobile “play carts” will include Disney-themed games and activities to give families something to do together to help alleviate stress and boredom. 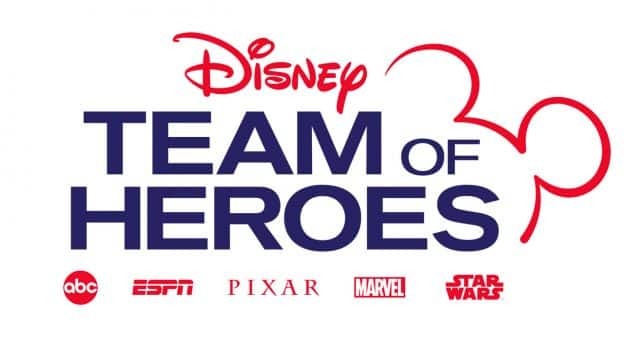 Disney customer-experience training for doctors, nurses and staff. Disney Institute will create a customized program for healthcare professionals designed to foster a less stressful, patient and family-centric hospital experience. Disney teams are already working with a panel of medical experts, including doctors, nurses, hospital administrators, parents and child life professionals from around the world, to advise on the best ways to help hospitals create a more personalized and comforting experience for patients and families. This new patient-focused initiative will expand the Company’s rich legacy of supporting children’s hospitals, which dates back to Walt Disney. I am a pediatric nurse analyst certified in EpicCare Inpatient Clinical Documentation. I work at a children’s hospital in Ohio helping enhance the EMR for inpatient users. I think this is an important aspect to include in the project, and I would love to be of help. Yup, this is great! I hope many hospitals are transformed and many kids will get to benefit from a little magic during their stay. What an amazing concept and opportunity for everyone involved! I am a pediatric nurse at one of the leading Children’s hospitals in the world and we are always striving to not only improve but excel in the patient family experience!!! In addition we are continuing to find ways to improve staff satisfaction. NO one encompasses these core values better than Disney!!! As our new facility is under construction timing would be perfect! I am excited about hearing more about opportunities on selection of hospitals and education for staff on this amazing concept making us better at patient family experience!! This is an awesome idea coming from a mom who has a child with a serious illness who has spent many nights in the hospital and we are a family who are huge Disney fans! What an incredible opportunity to help these wonderful, strong children get through some difficult times and take their minds off of what they are going through. I am a pediatric nurse at a nationally recognized Children’s Hospital. How do we get more information to bring back to our hospital in the hopes of implementing it there? Love this idea. I am a Pediatric RN and RRT-NPS in Dallas, Texas. I would love to help with this. I am a DVC member and AP holder.